This Fizik Aliante carbon railed saddle is destined for a Pinarello Dogma 65.1 build. 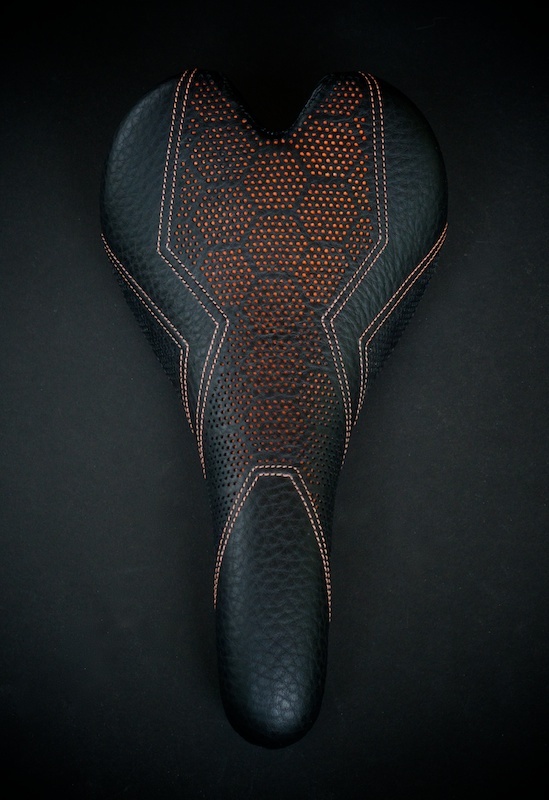 The customer wanted to match the curves of the orange and black paint scheme of his bike. 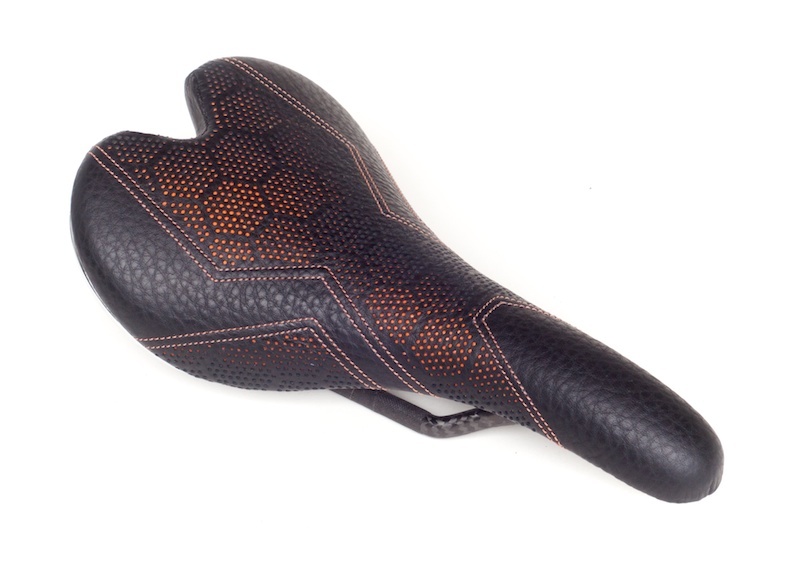 I proposed a Tron inspired honeycomb pattern with pebble black leather and orange leather underlay. Bar wrap was hand cut to match.